The commencement of your child’s sacramental journey is the reception of the Sacrament of Baptism. The sacrament is celebrated whilst the community are gathered during Mass. 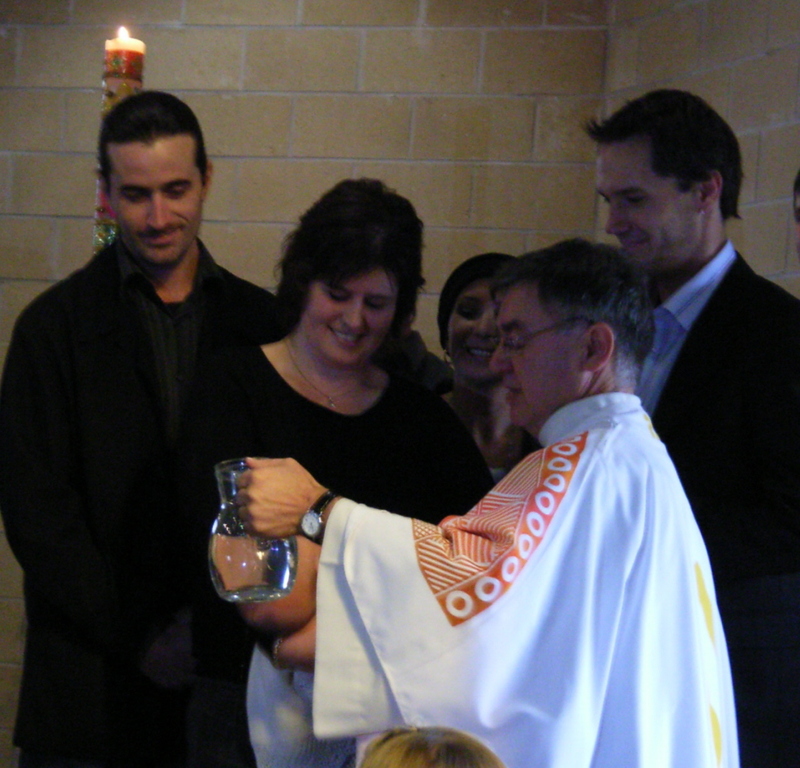 Because Baptism is the sacrament when the child is being welcomed into the Family of God, it is important that the family are there to participate in and celebrate the ceremony. The explanation of the ceremony is included in the kit given at the initial visit. The significance of the commitment of the parent and godparents cannot be underestimated and is worthy of reflection, as each of these people is asked to respond positively to questions based on the Creed. In baptism, parents ‘speak’ for their child and parents and godparents promise to support the child on the faith journey – a privilege perhaps underestimated. It is important that one godparent is a Catholic. The initial step requires you to call into the Parish office at 23 Dinwoodie Street, Hamilton on a Monday morning at 10.30am, where Carolyn will be most willing to help you get started by completing a simple form. Dates can be organised and a Baptism preparation kit given to the family. You will also be given the date of the next Baptism Preparation evening, which both parents are encouraged to attend. One week prior to the celebration of the Sacrament, arrangements are made for Fr Paddy to visit your home. During this visit, the child receives some of the anointings relative to the Sacrament. A stipend of $50 is requested which covers stipend, stole, candle and certificate. Enquiries may be made by phoning during the above times on 5571 1161.